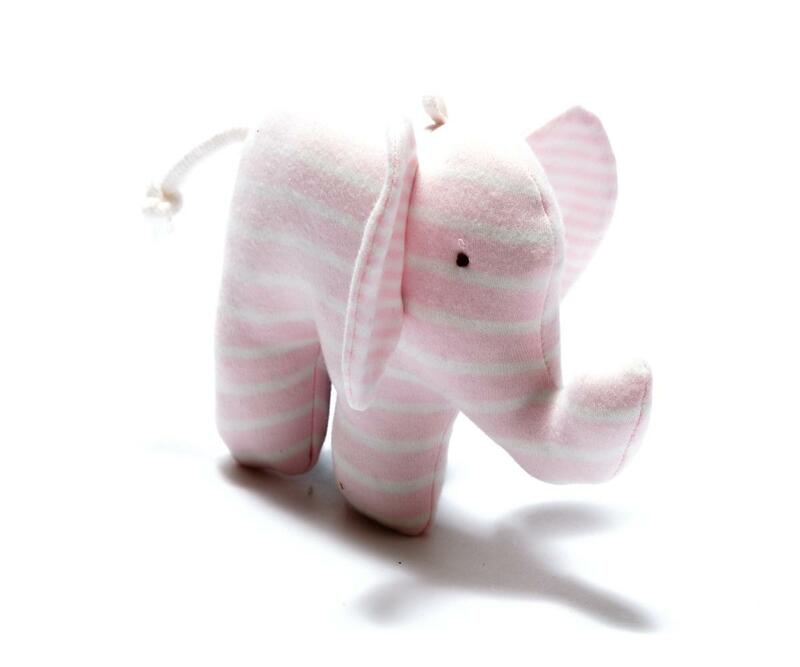 This Scrappy Elephant baby toy in pale pink stripes is handmade from soft organic Egyptian cotton both on the outside and stufffing, making it sustainable and pure from the inside out. Completely all organic, these Scrappy Elephants are wonderfully soft to the touch. PLEASE NOTE. Our scrappy elephants are made using organic fabrics left over from the manufacture of baby clothes. We are only able to buy limited quantities of a design so typically each of our elephants will sell out. If your baby becomes attached and you feel you may need a spare please don’t wait as they can sell out quicky. Our elephant toys are 100% organic cotton, including the stuffing which is also 100% organic cotton. They are approximately 17cm tall. Handmade, fair trade and machine washable. Tested to EN71 and CE. Best Years are a soft toy manufacturer based in the UK. All of our organic fair trade baby toys are available to wholesale, retailer and museum customers. Who makes my toys? Our scrappy elephant baby toys are handmade by Under the Nile.